The con was simple: Send a fake iPhone to Apple claiming that the device would not turn on and that it was under warranty, and not long after, a genuine replacement arrived in the mail. It was a scheme that federal prosecutors said two college students in Oregon repeated on such a scale that it amounted to nearly $900,000 in losses for Apple as they sent in hundreds of counterfeit phones. The two students, identified as Quan Jiang and Yangyang Zhou, would then ship the iPhones overseas where they would be sold for hundreds of dollars, and in return, they would get a cut of the profit, according to court documents recently filed in United States District Court in Oregon. The investigation started two years ago, after customs officials seized several shipments coming from Hong Kong containing cellphones from China. The devices appeared to be Apple products, with the logos and design features of an iPhone, but the shipping methods and packaging raised the suspicions of officials who determined that the phones were counterfeit, the authorities said. Investigators discovered that the cellphones were bound for Mr. Zhou’s mailing address and that they were part of an importing operation that also included Mr. Jiang, Mr. Zhou’s neighbor in Corvallis, Ore., about 85 miles south of Portland. 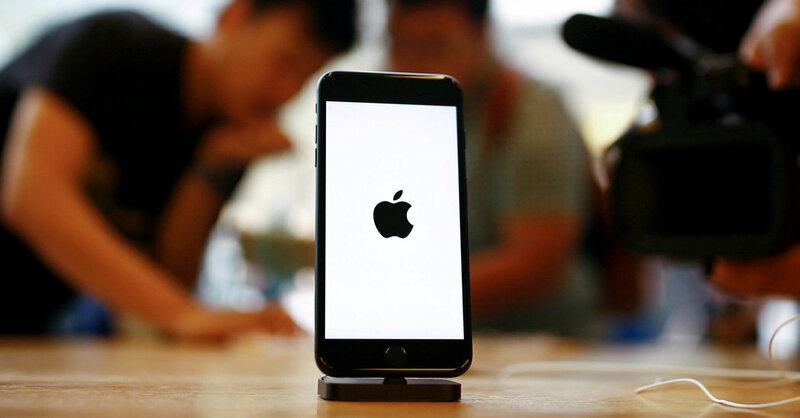 Records provided to investigators by Apple allowed them to connect Mr. Jiang to 3,069 iPhone warranty claims through his name and his email, mailing and IP addresses. All of them indicated “No Power/Wired Charging Issues” as the reason for the claim. More than 1,500 of the claims were rejected, but nearly just as many were approved, with a new phone sent out. An Apple representative told an investigator, according to court records, that a key element of the scheme’s success was that the phones were inoperable, which meant the replacement process would begin before technicians could figure out they were counterfeit. Mr. Jiang told investigators in an interview he had submitted some 2,000 phones in 2017. He also said that he employed friends and relatives in the United States to help swap out the phones. He said that an associate in China who sold the genuine phones paid Mr. Jiang’s mother, who lives in China; she deposited the money in a bank account that he could access in the United States. With each phone costing $600, the losses for Apple amounted to $895,800, officials said. Apple, which did not respond to a request for comment on Saturday, is not the only technology giant that has been targeted by scammers. A Lithuanian man recently pleaded guilty to an effort in which he sought to bilk Facebook and Google out of millions of dollars by submitting fraudulent invoices to the companies. Prosecutors said that from 2013 to 2015 the companies wired more than $100 million to the man and his associates. In Apple’s case, both of the men named in court records are Chinese citizens who were lawfully in the United States on student visas. Mr. Jiang was finishing studies in electrical engineering at Linn-Benton Community College in Albany, Ore., and Mr. Zhou was an engineering student at Oregon State University in nearby Corvallis. Mr. Jiang is accused of trafficking in counterfeit goods and wire fraud, and he is under GPS monitoring, officials said. Mr. Zhou is accused of submitting false or misleading information on an export declaration. He made his first court appearance on Friday and was ordered to not have any contact with Apple while the case continues. Last year, federal agents searched Mr. Jiang’s house, where they found more than 300 fake iPhones and shipping and warranty submission records. Investigators found through company records more than a dozen warranty returns under Mr. Zhou’s name and mailing address. More than 200 other total warranty claims were made using his name or derivations of it and other addresses linked to him, prosecutors said. In August, federal agents stopped Mr. Zhou at San Francisco International Airport when he was about to leave for China, according to an affidavit filed in federal court. Among his possessions was an iPhone in like-new condition and still in a factory box. An investigator from the Department of Homeland Security said he could tell from the box that it had come from Apple’s warranty replacement process. But Mr. Zhou told the agent that it was brand-new and given to him by Mr. Jiang as payment for a debt.